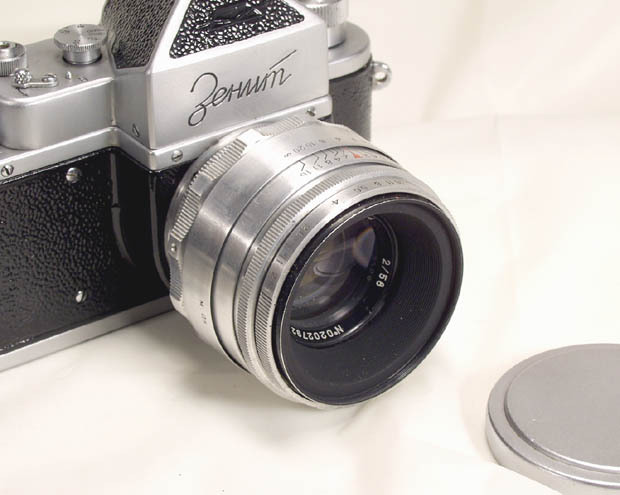 The Russian Jupiter-9 is a high quality telephoto lens. 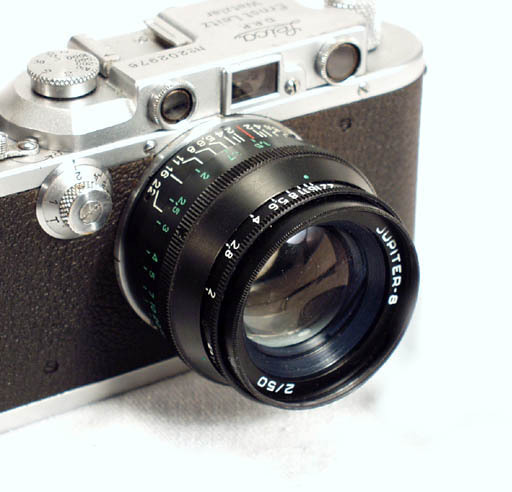 It is an optical copy of Zeiss Sonnar 85/2. 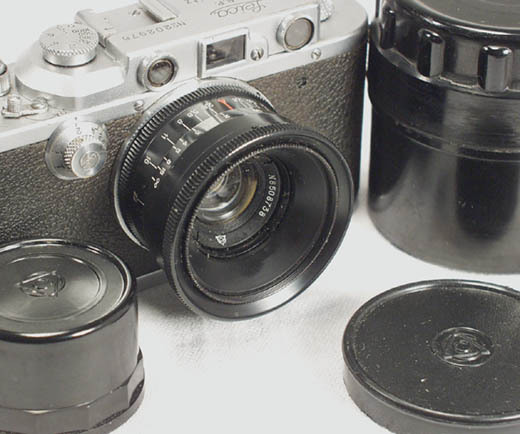 The Jupiter-9 is one of the most desirable Russian lenses, in both SLR and rangefinder (Contax and Leica) mounts. It produces very pleasant images (portraits in particular), and you can control depth-of-field with a wide range of aperture settings. 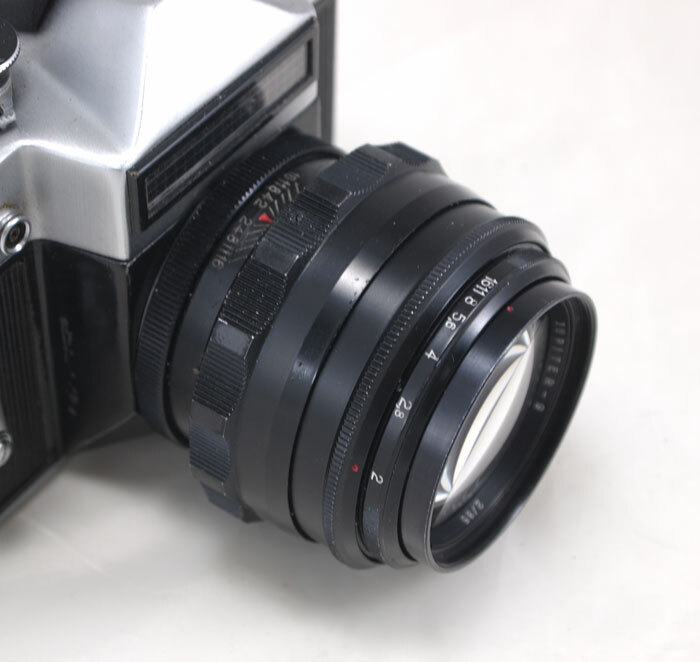 This Jupiter-9 was made for the early Zenit SLRs (Zenit, Zenit-S, Zenit-3, Zenit-3M, Kristall), but its optical registration (back focus) is the same as in the Universal Pentax Screw Mount, so with a simple 39 to 42 mm adapter ring (not included) the lens can be used with any M42 mount camera. 1:2 (settings from 2 to 16), Preset type with two rings. M39x1 mm. 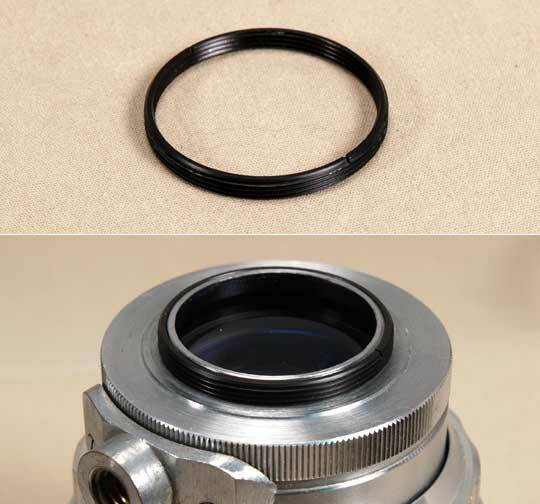 This is the same mount as in the Leica Thread Mount Lenses, but the optical registration is different, ( Universal/Pentax/Praktica/Zenit mount). The glass is coated; the barrel has a black enamel finish. This Jupiter-9 was made in the mid-1970's. It is in EXC condition, clean and attractive. The finish shows almost no signs of use, and the glass is clean. on the image). 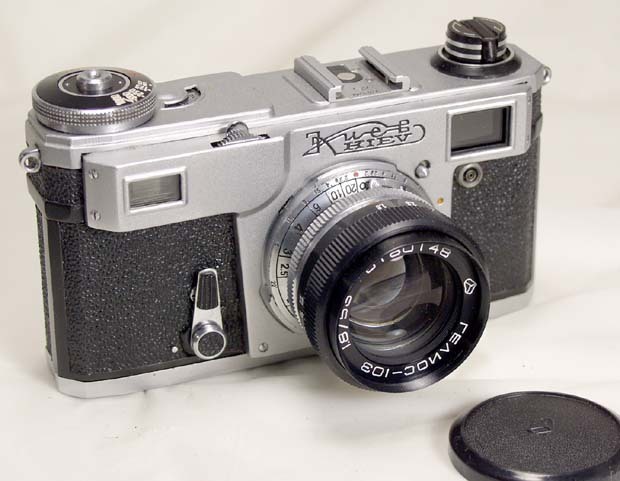 The lens is shown mounted on a Zenit-E (not included). 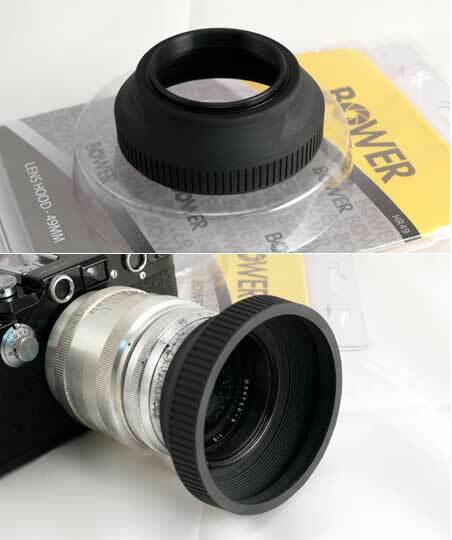 The lens comes with a plastic lenscap.